If you are seeking for a Ukraine bride, you have just browsed the perfect site! Searching for that one true love may never be easy since it takes a long process, and marriage should not be taken lightly. It requires commitment and hard work to persist in the relationship. Our site has been made to help foreign men who are sincerely looking for Ukraine girls for marriage. Women in Ukraine are capable of committing into a serious and long-lasting relationship, so as marriage. Start making your first step and register here for free. Extend your search for true love through visiting and browsing our site. In the shortest time possible, your long process of finding genuine love will be made easier. Join our singles tour now for you to establish acquaintance with these gorgeous women. You have to MEET her to MARRY her! Compared to some Western partners, these women have pleasant dispositions in life, thus making them worthy and ideal wives. The kind of upbringing they have gone through has added to the betterment of their womanhood and motherhood. Hundreds of foreign men are aiming to settle with Ukrainians because of this. Get to know how affectionate these women are and see yourself marrying one of them in the near future. To learn more as to why these women are tagged as one of the best brides in the planet, read the reasons provided below. Keep on reading to the bottom and see for yourself the kind of treasure they have inside. Family oriented. Ukrainian women, grew up with the thought that maintaining one’s career on top is very important. However, as they give a huge value on their families, they are more than ready and willing to give up whatever they have and do for living if it puts their family’s sake at risk. For them, everything about their family matters most. 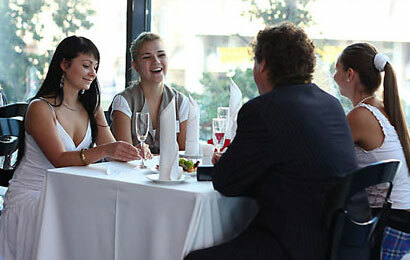 Discover how to meet beautiful women in Ukraine through our singles tours. Capable of doing household chores. Ukrainians are taught to be able to do a job on their own. You won’t have problems leaving them at home alone because they can do such household chores. These ladies know how to keep a livable and cozy ambience in the house. Loves unconditionally. A Ukrainian wife will never give up on you. She is a woman with integrity and is one who commits herself sincerely to the ones she loves -- if only they can get the same thing in return. She can give you a lifetime of unconditional love in return. Expect their unending faithfulness when you get to marry one. Excellent parenting styles. The way these women were brought up by their families is quite commendable. They are taught of all the things they know now from childhood. They are trained to be great in many ways especially when dealing with children. You can expect these women to take the responsibilities of being a mother dutifully. Upon knowing those things above, be ready to date and marry Ukraine women who commit, love and endure for life. Commitment. When a Ukraine woman falls in love, she can be very selfless. She commits herself to the person she loves and is willing to give up everything for the sake of her beloved. This is a good indicator that these women are a MUST to become your lawfully-wedded wife. This is in contrast to other Western brides who have a great sense of self-worth; this makes them think twice on committing because it may mean that they have to sacrifice whatever they have for the ones they love. Join our singles tours so you can meet, date and marry a Ukraine bride. Patience. Another matter that is quite remarkable about Ukraine brides is their patience. Although there may be a large scope on this matter, these women don’t easily give up especially when it has something to do with the ones they love. They can wait and they can hold back their anger -- although testing the extent of their patience might get you in trouble. Other Western women, on the other hand, can be quite moody by small matters. Men preferences. For most Ukrainians, younger men basis is no longer typical in the dating industry if they will only end up broken-hearted. They would rather date older men and get to experience a lifetime commitment, than to be with men of their age who only seek fun. On the other hand, most Western individuals are not into settling down, thus they live together regardless of marriage. Many of them are after an adventurous dating life instead of a happy marriage life. A ritual called "Buyout a Bride" starts the traditional wedding ceremony early in the morning. As soon as the sun rises, the groom, together with his groomsmen, are expected to be present at the bride's residence where they will have to buy out the bride. The bride’s price is up to the family and the bridesmaids to decide. The bidding shall be done with the use of either money, sweets or champagne. Once both parties are already settled with the price, the groom and his companions must undergo a test to show the husband to-be’s love for his bride. Another wedding customs of Ukraine is done by the mothers of the couple: this is done by hiding big coins under the four corners of the towel before it is being stepped on. It means that the couple will get to experience a life without misery throughout their wedlock. When the wedding ceremony ends, the bride must kick the towel with her foot out of the church. That is another way of telling all unmarried women guests to soon wed themselves. After such, the bride should keep and protect the said towel because they believe it will protect her own family in the future. Another unique wedding ritual done by the Ukrainian people is the removal of the bride’s veil. By the end of the ceremony, the bride’s mother-in-law must take her veil off and cover her head with handkerchief instead. It simply means the woman has just become a wife. These women are indeed worth taking the risk. Be one of our clients now to date and marry marriage-minded Ukrainian women.